So I drive my car every weekend to get me to the city (yeah city isn’t best for describing Ljubljana … if you compare it to normal cities around the world … but its the biggest in Slovenia so …) where I study. It’s 100 km drive, no big deal, mostly motorway. Slovenia has tool on motorway (of course) and we are using vignette system (similar than those in Austria or Hungary), so you pay once a year (to get yearly tool, or monthly or weekly … I don’t want to describe whole system.) 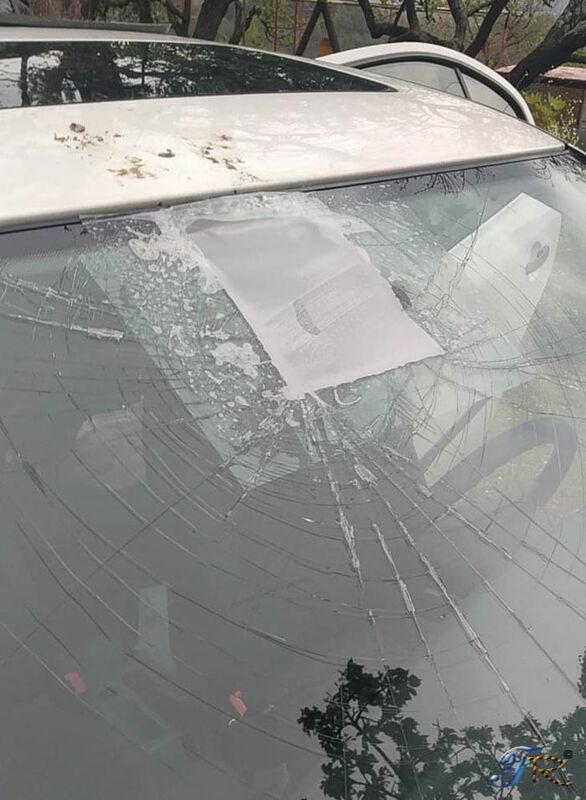 to get windshield sticker that you stick, you guessed it, on a windshield. Yeah somebody stole the damn vignette. 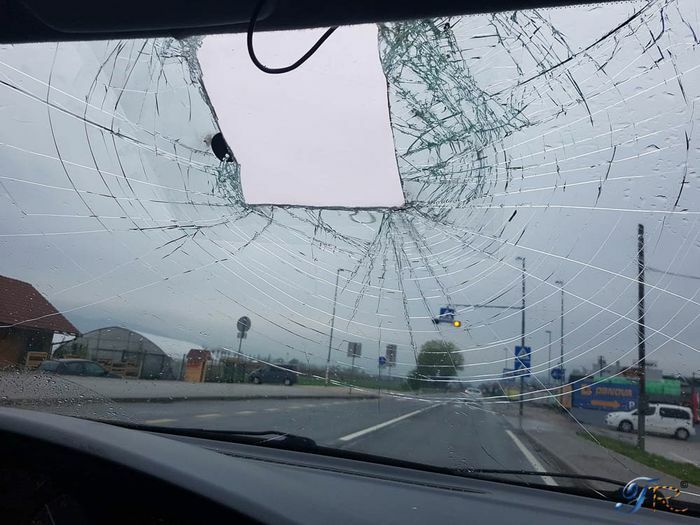 He cut the windshield with angle grinder and took the damn thing out. He didn’t take dashcam that was right next to it, no. I didn’t know what to think of it. I heard that this is happening in our country but didn’t believe it until it happend to me. So I called the police and they said that it will take them an hour to get to me (normal as this is not the most urgent case). So policewoman drives in with civil VW Passat and we make a police record of the theft and damage. She takes some pictures of the damage and I had to sign some papers and that is it. My voyage home than involved stopping at the supermarket to get some self-adhesive foil (used to wrap books and stuff), taping the hole with it and driving home on the normal road very carefully because the centre mirror fell off. Nothing interesting happend on the trip. “So what now?” you might ask. 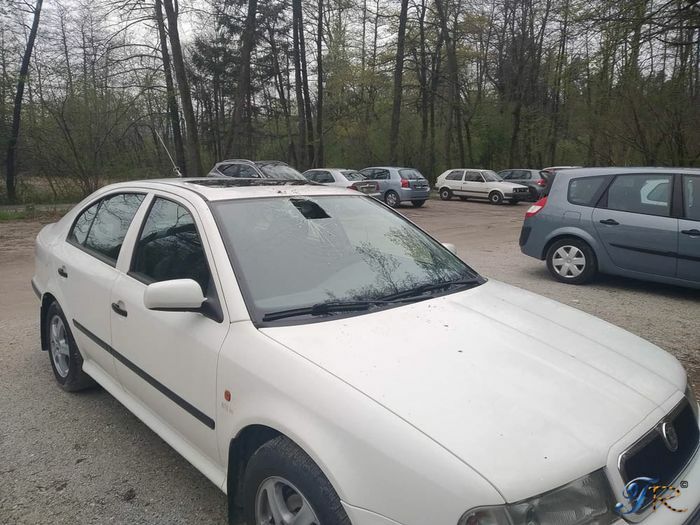 Answer: windscreen for my car is 100€ new (used is 50€), kit for installing windshield is 40€. So we will repair the car at home. There is a problem though: vignette. “What about it?” Well nobody will return it to me. “That’s normal, isn’t it?” No, it’s not. 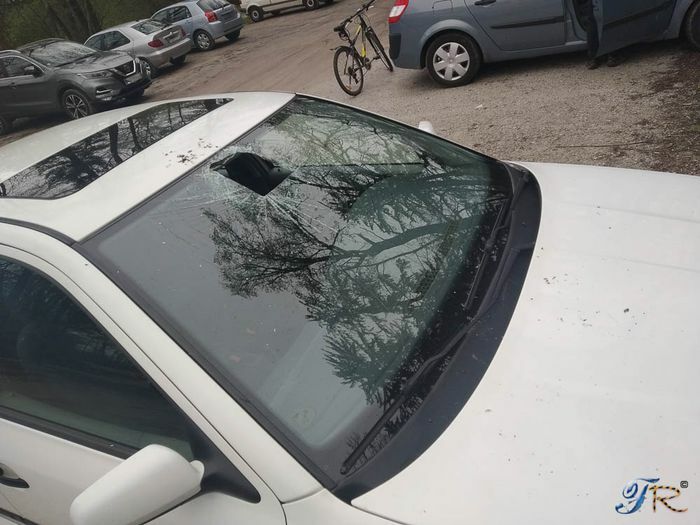 You see DARS (company of the slovenian motorways) gives replacement vignette to people that had windscreens replaced if they cracked or something and they had to replace them (windscreens). And to get replacement vignette you have to bring back leftovers of old one, receipt and foil with ‘coupon’ (that has same ID number like vignette) so they see that you had it. In case of the theft you aren’t justified to get replacement vignette, because you don’t have the leftovers of it … This angers me so much. We will try to reason with them and get the replacement anyway. I hope everything will work out in the end. Also I made instagram … follow me there. Haven’t posted anything yet but will in the future. As you know my english ain’t great so if I made some grammar mistakes feel free to correct me on them.